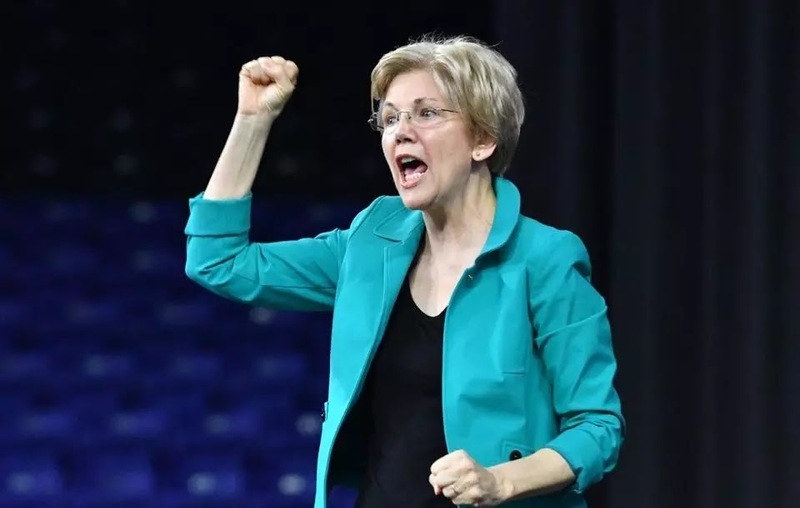 Emerson has released a poll finding Elizabeth Warren in third place in her home state of Massachusetts with just 14 percent support in a Democratic primary. Sen. Bernie Sanders comes in with 26% of the vote and Joe Biden is at 23%. This is a pretty embarrassing showing. This is a concern for Warren who at this time does not have a firewall in her home state. Great! Biden and Sanders are far from libertarians but they are not as interventionist as Warren. Yes, Bernie is a whack job socialist but it doesn't appear that he comes close to the nutty interventionist proposals of Warren. Let us hope that Massachusetts scalps the .00001% Indian. She's unlikeable. And an interventionist who proposes solutions to problems she made up in her mind, yet esoteric enough that people don't relate to those windmills she intends to tilt. I think people understand she's a phony, a staunch defender of yet another example of cronyism, the Export Import Bank. You mean when it comes to E. Warren, people have reservations? ?